Okay, Arsenal’s new signing was hardly the trumpet-prompting type sought after by Gooners everywhere, but Rob Holding is a real talent, and this article is intended to shine some light on the youngster signed from Bolton just yesterday. Aside from the obvious dearth of strikers being ushered in through the security barriers at London Colney, the other position Arsenal required to strengthen when this infernal transfer window opened was in defence. Laurent Koscielny highlighted what a titan we have in our backline, and Mertesacker is still more than able to hold the line, but Gabriel had many opportunities to establish himself at Arsenal last season, and his rashness still leaves far more questions than answers for his Gunners future. Calum Chambers is still largely untested and surely represents the best option for our future defensive lineup, but in terms of squad strength and when the injury plague tests us once more in its annual visit – it was abundantly clear that we required reinforcements. Cue Rob Holding. The 20 year old would normally herald a resounding “who?” from The Emirates crowd, so I feel duty bound to inform you all from whence young Holding came. 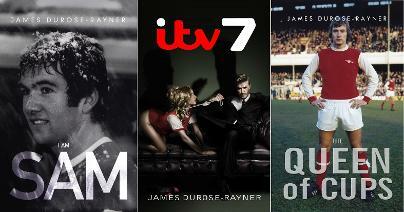 Some who are keen followers of the Championship, and if so then you will be well versed on our new signing. Holding only earned his first start at the beginning of last season – in August – but he immediately impressed, so much so that by the end of the season, he had held down a spot in Wanderers defence. The season ultimately ended in disappointment for Holding and his team, as the Trotters were relegated, but his Player of the Season award was testament to his ever growing reputation and talent. He cuts quite an imposing figure – he stands at a redwood-rivalling 1.82m – but he is far from a simple physical barrier. The props he earned from his displays last season come from his ability to play the ball out from the back thanks to his sound control and level head under pressure. From starting his first game for Bolton in August, to making his first international appearance this summer. Holding earned his first cap for the Under-21’s during England’s triumph in the Toulon tournament – the same side which was Captained so effectively by our very own Calum Chambers. What a mouthwatering prospect. Until then though, we may have to sate ourselves with fleeting glimpses of our new acquisition, as he probably will not force his way into the Gunners first team, but he WILL however, be part of the first team squad. He has taken the Number16 shirt, recently vacated by none other than Granit Xhaka and Aaron Ramsey, so it can be fairly perceived that he will be part of Arsene Wenger’s plans this coming season. 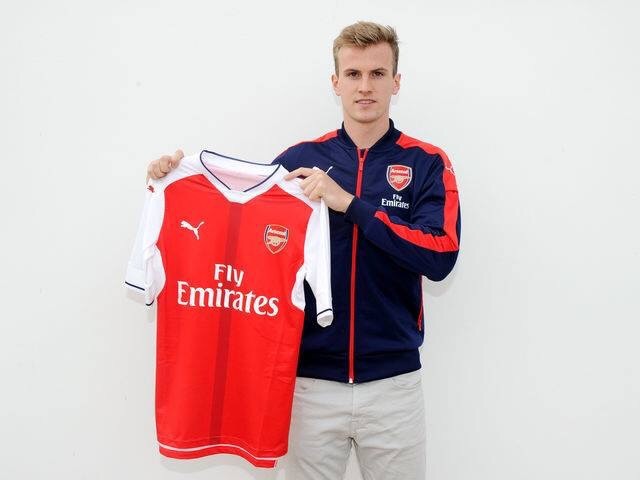 So, many reasons to be cheerful with Rob Holding joining the Arsenal fold. Not quite the nobody that many were proclaiming, and with a sharp rise to prominence that he enjoyed last season, it means that a lot of variables edge towards ‘real deal’ territory. The jury will be out for some time, as invariably, defenders need years to pickle themselves perfectly, but the signs are promising. Will promise be enough to satisfy hungry Gooners? Probably not. I, and pretty much every fan I come into contact with, still trawl websites for news of an impending, flag-bearing striker – but to no avail. Our season may just come off the rails before it has started if we are woefully undercooked in the striker department, but the window has more than a while to go before it slams shut again. Rob Holding is a signing that should warrant optimism. If he had gone to Chelsea or City, we would have bemoaned the fact another starlet has slipped under our calamitous Manager’s watch. The fact he has joined us is great news, and hopefully you will all treat it as such. ‹ PreviousKos Is The Boss, But Who Should Be His Deputy? Next ›The Return of the Loanees – Part One.